Interview in Classic Rock. Reading between the lines, Lee, and presumably Lifeson, didn’t initially comprehend Peart’s decision to retire - “I started to understand”. Interesting that he mentions that “since then” they’ve remained friends which suggests there was some friction in the initial decision. It's on issuu, which I find hard to read; I'm going to buy the magazine! (I have to keep hitting the + button too many times! ) But here is the link, the interview is on Page 36. Edited by blueschica, 07 November 2018 - 02:04 PM. Thank you, Tony! I look forward to getting the magazine! Hey, it wasn’t great, but my dad and I sure didn’t care at the time. CTTH is the only really embarrassing vocal from that tour. They should have done a proper farewell tour. Should have taken a longer break between The clockwork Angles Tour and R40 and have an extended 2016 Tour. Neil came to them before R40 and said "Guys, I'm done" and they still got 30 shows out of him that he didn't have to do. Despite acting like a child over it, it was good on him to do that at least. Thank you. I needed to smile just then. 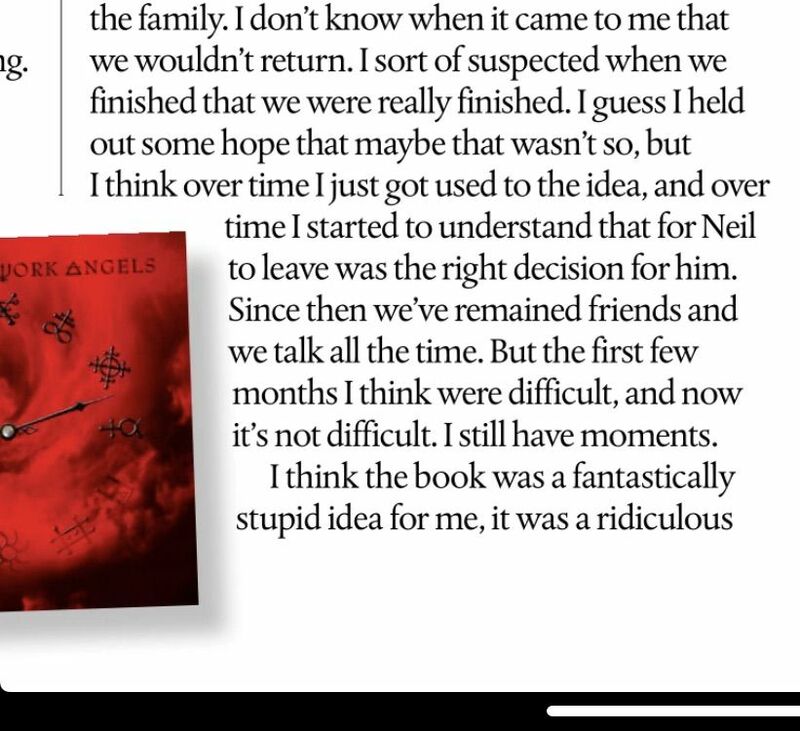 Interesting that he mentions that “since then” they’ve remained friends which suggests there was some friction in the initial decision. It's interesting to YOU, because you're still obsessed with blaming Neil Peart for everything and calling him a selfish prick. Am I missing something? I don’t get it.